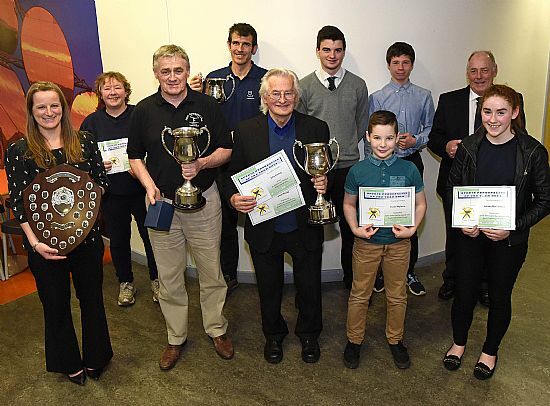 Blair Morrison, Caberfeidh Shinty Club, Joe Arnuad Inverness Harriers, Sandy Gall, Highland Deephaven Clay Pigeon Club, Joint Winner of Senior Athlete with Eleanor Richardson, Scottish Cycling. 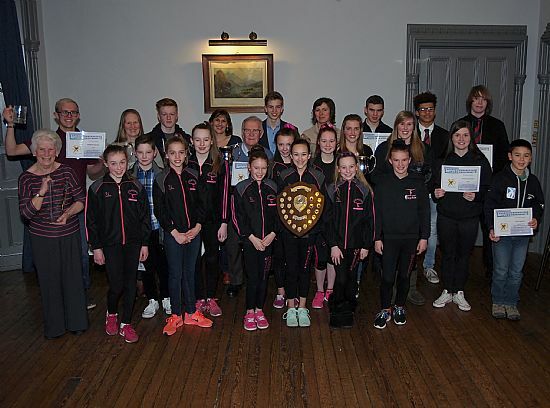 Sonny Rhind, Fyrish Gymnastics Club, Coach of the Year, John Waring, Tain Tennis Club & Table Tennis Club, Volunteer/Administrator Award, Euann Mightens, HB Judo Club, Joanna MacLennan, Highland Budokan Judo Club. 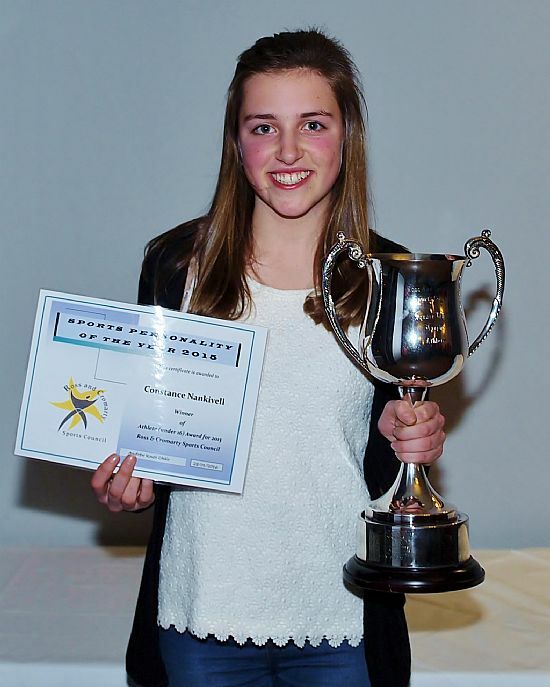 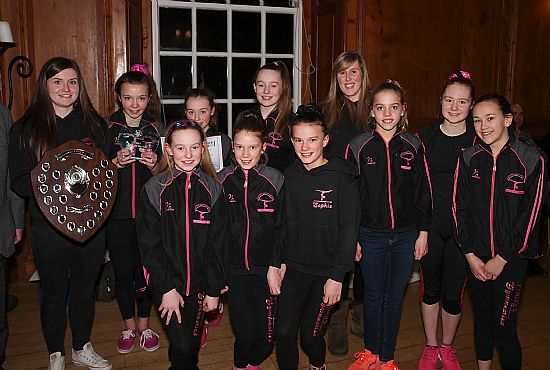 Front Row - Fyrish Gymnastics Club, Kyle Cameron, Chanonry Sailing Club.